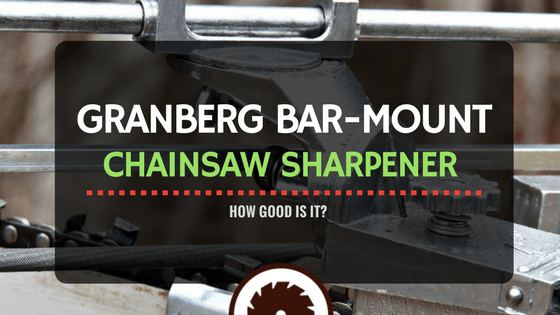 » Just How Good is the Granberg Bar-Mount Chainsaw Sharpener? Learning to sharpen your own chainsaws will save you time and money going to a professional chainsaw sharpener. With the right tools, you can sharpen the chain in place (that is, mounted on the bar) and reduce the time you spend removing, replacing and re-tightening your chain. While the Granberg bar-mount chainsaw sharpener may not be an aesthetic masterpiece, it's preferred amongst chainsaw enthusiasts. A sharpened chainsaw will make cutting much more efficient, help your chainsaw motor last longer, and cut more safely and efficiently. The Granberg Bar-Mount #G-106B weighs less than two pounds and can come into the field with you in case you need to sharpen your chain a long way from electrical power, so make sure you pack your filing tools with your #G-106B. This is the portion of the cutting jig that mounts to your bar. It slips over the top of the bar and clamps to the tip sprocket section of the bar. If you place the mounting bracket on the top of the chain and it doesn't rotate freely, you've either clamped it too tightly or have attached the bracket to the chain instead of the tip sprocket plate. You can also mount the Grandberg to the top of the bar; just make sure the chain still moves freely. Setting this gauge is critically important, so keep a careful eye on your first cut to make sure you're not going too deep into the cutting links of the chain. Even a manual file can cause irreparable damage to the chain and put you at risk of breakage or slipping. To sharpen a chainsaw properly, you need to set the depth gauge so all you're filing is the cutting face. Your file guide is where you set the angle for your cutting file. Depending on whether you need a ripping chain (for cutting lumber parallel to the wood) or a standard cutting surface to work perpendicular to the grain for cutting firewood logs, setting the angle properly and consistently is critical. In referring to the point above, if you wind up moving the jig on every cut because the chain won't rotate, you'll get an uneven cutting surface across the length of the chain and will put a lot more pressure on your chainsaw motor than is necessary. Your cutting file rides on the file rails of the jig. Once your tool is attached so that the chain still moves and you've set the right angle, the filing mechanism should move smoothly along the file rails. With the proper setup as depicted in the video below, the actual work of grinding your chain will go fairly smoothly. Just be sure to file each cutting link at the same angle and with the same number of strokes; all you're doing is exposing a new cutting edge. If you've been wearing gloves all day and are sharpening during a break, it may be tempting to remove your gloves. However, your chainsaw chain will be both oily and dirty, and may have microscopic mold on it from exposure to living and dead wood. You don't want these products under your skin; so, keep your gloves on! Familiarity with the Grandberg and with your chainsaw will improve the performance of the Grandberg every time you sharpen. Luckily, there are some things about it that will always perform well. For example, there are multiple spots on the jig where you can customize your cutting depth and angle. If you've already sharpened this chain and are just exposing new cutting surfaces, the angle setup and depth gauge should be the same on the jig. The cast-aluminum and zinc-plated steel construction of this tool means that you can count on your Granberg precision chainsaw sharpener to be stable. 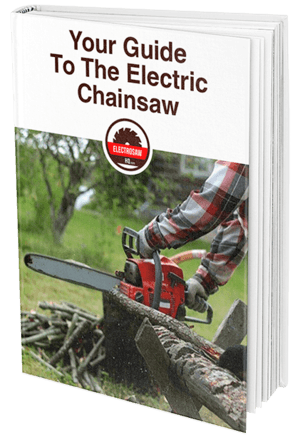 If you don’t know how to sharpen a chainsaw, be sure to check out this guide! While it's never a good idea to ask a chainsaw sharpener for forgiveness, the #G-106B has some to offer! If properly set, the chain will rotate. If not, the chain won't move. It either works or it doesn't. Both the angle and the depth gauge can be adjusted separately, so consider working a little short; that is, high on the cutting edge, or even above it, to make sure you're matching the angle you need. If you've determined that you're at the right angle and that your chain is rotating freely, you can set the depth gauge. The Granberg moves easily and flips up out of the way as you advance your chain, so the actual work of sharpening goes quickly and you can really go to town; the only adjustment you'll need to make is if the jig sags on the bar. This unit contains no plastic anywhere. 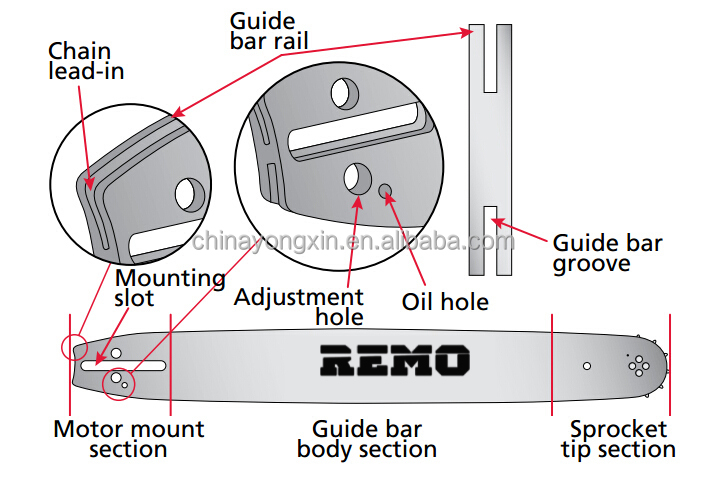 The clamping mechanism will not flex if you need to apply a little pressure, and the rail guides will not be at risk of breaking if it gets knocked around a little. That being said, you’ll want to store your #G-106B in a sturdy case to protect the integrity of the file rail. If that gets bent or damaged, the file will bind rather than glide. The entire body of the tool is constructed of cast aluminum and zinc-plated steel for rust resistance and durability. All the connections feature thumbscrews or wingnuts for easy adjustment and access; no need to use a particular screwdriver or Allen wrench. If kept clean and free of damage, your #G-106B moves easily and looks sharp. Keep an eye on all the connecting wing-nuts to make sure you don't lose anything from vehicle to woodlot and consider placing your Granberg in a sturdy container of its own to avoid damage to the clamping or filing mechanism. Of course, the best chainsaw sharpener is the one you're actually going to be able to use without a lot of fuss and set up, and it is quick to mount and to use. The file handle is easy to grasp and well-balanced. Best of all, at no point in the filing stroke will you fingers get anywhere near a sharp surface. Your hands don’t need to cross or bump against the chain to sharpen the cutting links. Of course, the most important part of a manual chainsaw sharpener is the file, and the #G-106B doesn't include files. Since you'd need to check your chainsaw file size chart to confirm you're using the right file for the job anyway, this limitation is not terribly troublesome. For the money, the Granberg bar-mount chainsaw sharpener is a great deal. This tool will stand the test of time if used and stored properly. This sharpening jig is built by people who know and love the work of lumber. Whether you’re ripping raw lumber to dry your own planks or just chopping up firewood, you can take your Granberg with you and keep your saw working at 100%. The Granberg sharpening tool is manual; you can put it to use in the field with nothing more than a stump vise. Additionally, sharpening in the middle of a long day of cutting will give you a chance to sit and enjoy the quiet with a nice cup of coffee. For chainsaw users who don't need to go far afield, an electric sharpener may save time. This sharpener will require you to remove the chain from the saw, but has several spots for proper adjustment and features a jig for the chain to ride on. It offers plenty of flexibility so you can sharpen your chain for ripping or perpendicular cuts. The angle of the grind can change from 0 to 35 degrees in 5-degree increments. You can sharpen any size chain on this grinder without changing wheels. You'll only need to change the wheel if it becomes damaged or wears out. 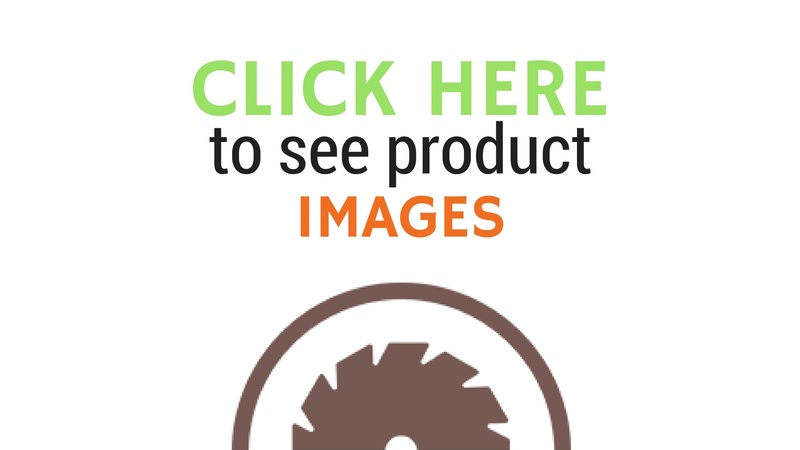 Be sure to review your electric chainsaw sharpener instructions when placing and replacing your grinding wheel on the arbor. Additionally, if you've never sharpened a chainsaw blade before, take special care with your depth gauge so you don't damage the cutting links; a snapped chainsaw blade can be deadly. The Remington RM4620 has a slightly less powerful engine, weighs just a bit more and has an anti-vibration handle. This saw can pick up an awful lot of dust and may clog itself, so be sure to stop and check the condition of your air cleaner and filters should the tool start to fail. The Remington chainsaw is slightly less expensive than the Craftsman chainsaw. The Homdox 62cc chainsaw is slightly lighter and a bit less money than the Craftsman saw. A curious feature of this saw is that the safety break handguard offers a gridded shield. Not only will this allow for great contact to apply the emergency brake, but it will reduce the amount of sawdust kicking up at you. If you've previously used an electric saw and would like the flexibility and convenience of a gas-powered saw, this is a great option.